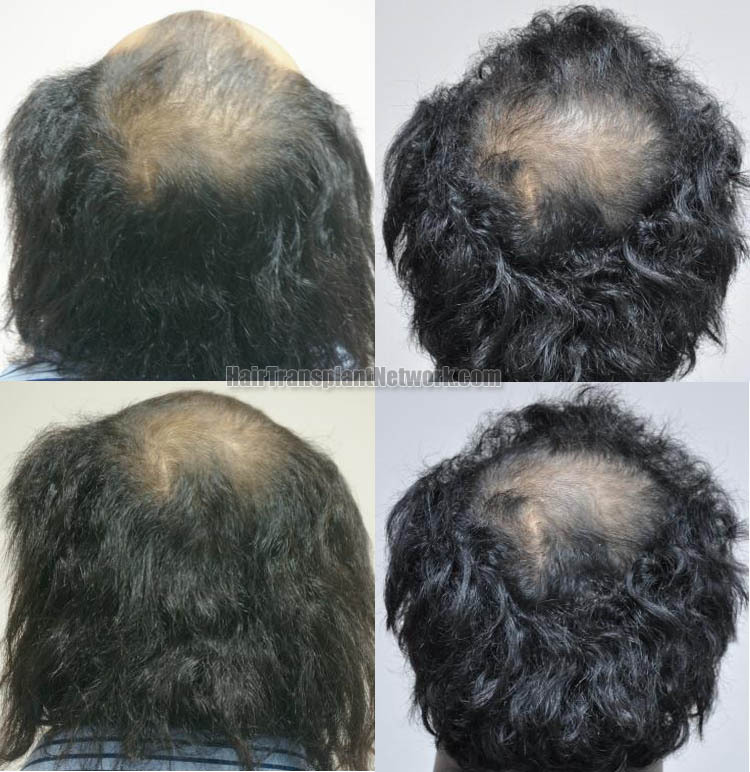 30-year old male from Middle East has extensive hair loss from front toward the crown with dense miniaturized hair at the bridge and good donor hairs at back. His hair is coarse, black, wavy. He wanted to transplant only the front part due to limited budget. 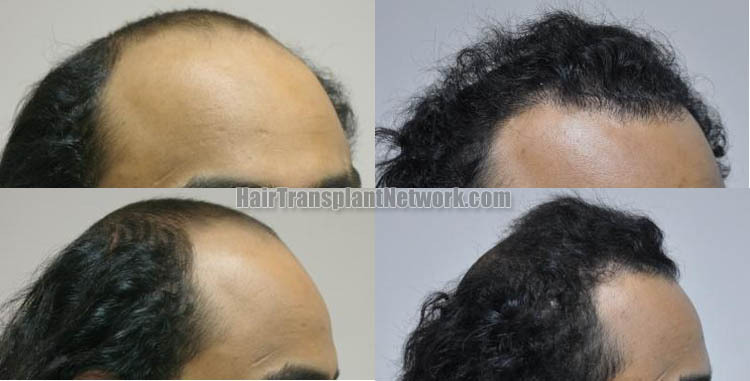 He had hair transplant on July 21st, 2011 and had a total of 1971 grafts or 5133 hairs (1-hair= 200, 2-hairs=947, 3-hairs=446, 4-5 hairs=378 grafts). The insertion was difficult due to increased bleeding, popping, and slippery grafts. He returned after 12 months post-op with good growth and was happy with the results as shown. Hair transplant surgery procedure with 1971 grafts displayed from the front, showing before and after images. 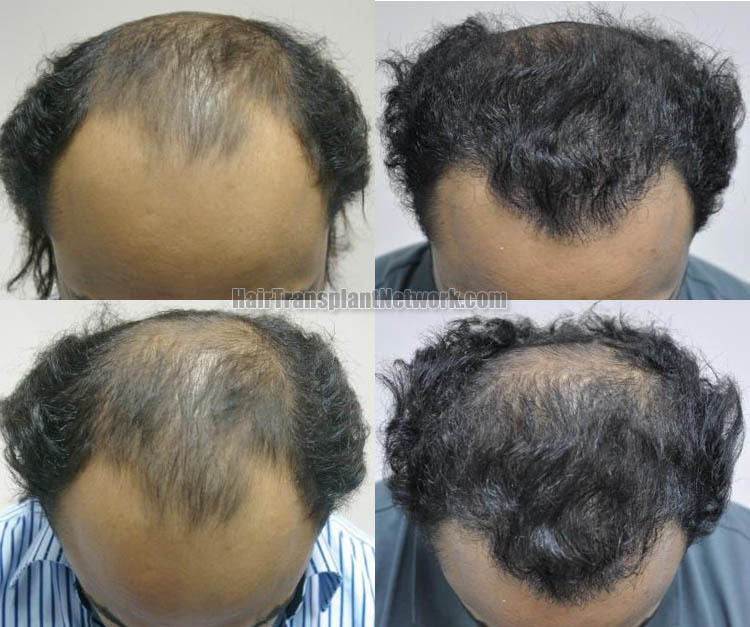 Hair transplant surgery using 1971 grafts viewed from the top, displaying before and after photos. 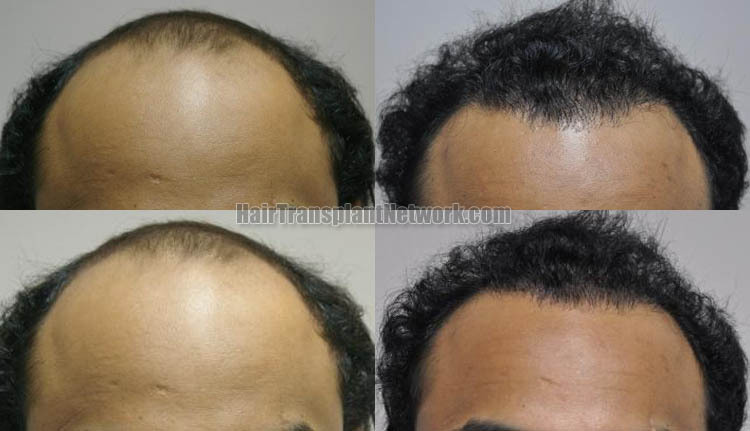 Hair transplant surgery using 1971 grafts viewed from the left, displaying before and after photos. Hair restoration procedure utilizing 1971 grafts viewed from the right, displaying before and after images. Hair transplant session using 1971 grafts displaying before and after photos, viewed from the back. Hair transplant surgery using 1971 grafts displayed from the top, viewing an immediate postoperative image. 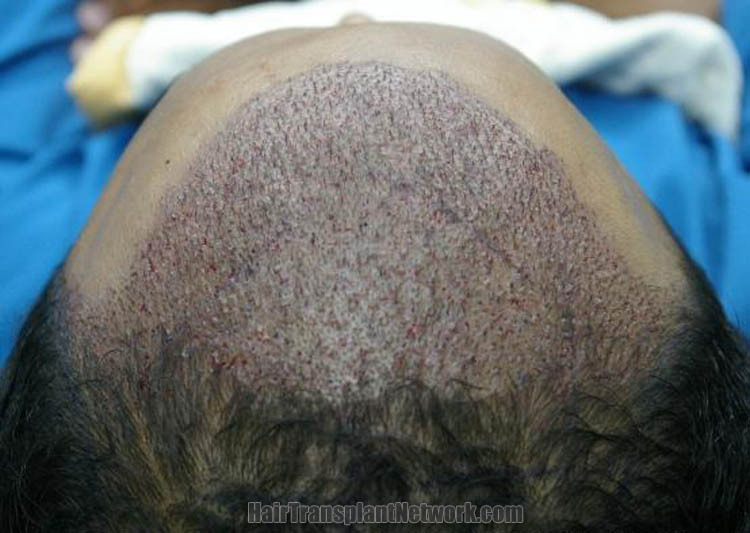 Hair transplant procedure using 1971 grafts displaying the patient’s residual donor area scar one year postoperative.